Seller Motivated, bring offers. 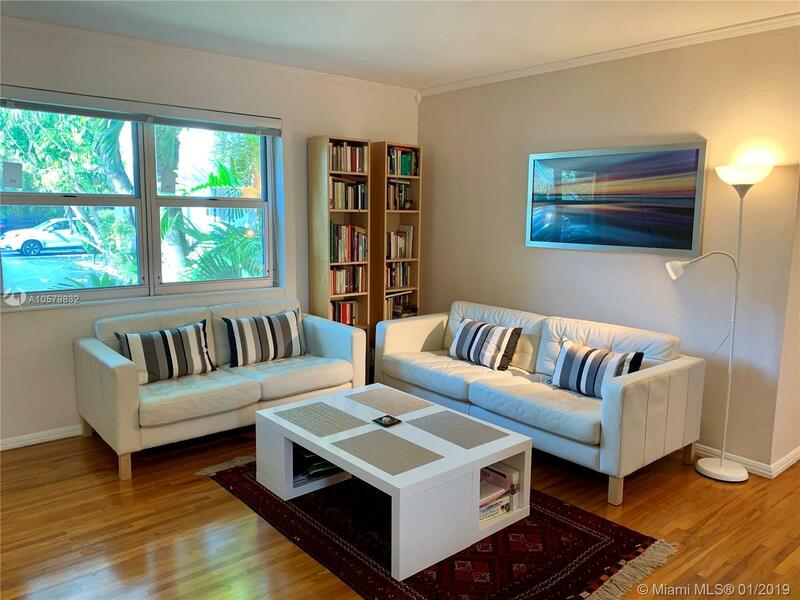 Substantially remodeled 2 bedrm 1 bath condo in South Miami. Unit features gleaming wood floors, Brand New Impact windows with solar protection throughout, done with all permits, crown molding, art deco styled kitchen complete with stainless steel refrigerator, Bosch dishwasher, glass tile backsplash, new solid and contemporary front and back doors, recessed lighting, ample and bright living area. Formal dining room. Unit has windows throughout to enjoy maximum light and views of surrounding gorgeous lush green tropical garden. It feels like a serene tropical oasis. Newer a.c. unit. Walk or bike into South Miami downtown and enjoy fine shopping, restaurants, cafes, and nightlife. Close to the University of Miami. Located in Sunset elementary school district!